President Donald Trump kept up his habit of making false claims in the first abbreviated week of 2019, starting the new year by dispensing a dizzying supply of factually dubious and outright false statements. Over the course of an hour-and-a-half-long press availability during his first Cabinet meeting of 2019, the president offered a puzzling justification for the Soviet invasion of Afghanistan, grossly inflated the cost of illegal immigration and the number of people in the country without proper documentation, claimed he “essentially” fired his former secretary of defense (who actually resigned over policy disagreements with the commander in chief), and falsely claimed the U.S. spends more in Afghanistan in one month than he is requesting for his desired border wall. 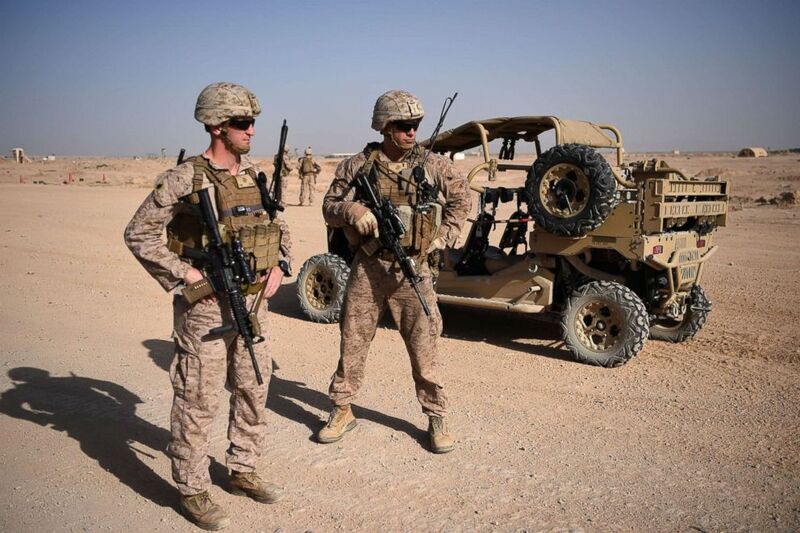 In making the case that an unlimited timeline on military presence in Afghanistan serves only to damage the U.S., President Trump began a riff on an argument he often used during the 2016 campaign: pointing to the Soviet Union’s invasion of Afghanistan in 1979. “Russia used to be the Soviet Union. Afghanistan made it Russia, because they went bankrupt fighting in Afghanistan,” Trump said. While several historians reached by ABC News acknowledged that the Afghanistan war was costly for the U.S.S.R., there was considerable disagreement with the president’s contention that the invasion contributed to the Soviet Union’s collapse. “It was only a small fraction of the Soviet overall defense expenditure,” Radchenko added. Artemy Kalinovsky, an assistant professor at the University of Amsterdam and research associate at the Cold War Studies Program at the London School of Economics and Politics, largely agreed with Radchenko. The latter claim that the U.S.S.R. was “right” to invade Afghanistan flies in the face of decades of past U.S. policy, especially considering the U.S. intervened in Afghanistan at the time to aid the mujahideen in their fight against the Soviets. The Soviet pretext at the time of the invasion was to offer support to the communist government in their fight against the anti-Communist mujaheddin. But it was the president’s claim of ‘terrorists’ going into the U.S.S.R. to back up his belief that Soviet intervention was justified that truly perplexed historians. President Donald Trump, national security advisor H.R. McMaster, White House chief of staff John Kelly and Defense Secretary Jim Mattis attend a briefing in the Cabinet Room of the White House, Oct. 5, 2017, in Washington, D.C. Does illegal immigration cost the US $250 billion each year? Near the beginning of the Cabinet meeting, President Trump repeatedly stressed the need for a wall along the U.S.-Mexico border to curb illegal immigration. But that claim isn’t true. The White House did not immediately respond to questions asking for clarity on where the president first discovered this statistic, but of multiple independent analyses measuring the economic costs of illegal immigration, none come close to the $250 billion figure floated by Trump. A 2013 report from the conservative Heritage Foundation estimated that undocumented immigrant households cost the U.S. “around $54.5 billion” per year in net fiscal burden. And a 2017 report from the Center for Immigration Studies, which typically advocates for aggressive measures to curb illegal immigration, imagined the following scenario of the wall “paying for itself” as the president has described. “If a border wall stopped between 160,000 and 200,000 illegal crossers — 9 to 12 percent of those expected to successfully cross in the next decade — the fiscal savings would equal the $12 to $15 billion cost of the wall,” the study said. But that estimate is still far away from the “$250 billion” the president claims that illegal immigration costs the U.S. per year. President Trump also used his extended time in front of cameras to make a claim widely inflating the current number of undocumented immigrants living in the U.S. But that claim is false. Homeland Security Secretary Kirstjen Nielsen, testifying before the House Oversight Committee on Dec. 20, said her department currently estimates there are “somewhere” between 11 million and 22 million undocumented immigrants currently residing in the U.S.
Pew Researchers have generated much more conservative estimates, however, releasing research that they claim shows the number of undocumented immigrants has actually decreased leading up to 2016 from its peak of 12.2 million in 2007. President Trump was the first to announce by Twitter last month that James Mattis would be “retiring” as secretary of defense. And officials within the administration made clear at the time that Mattis’ resignation was not forced but a decision he made of his own accord. 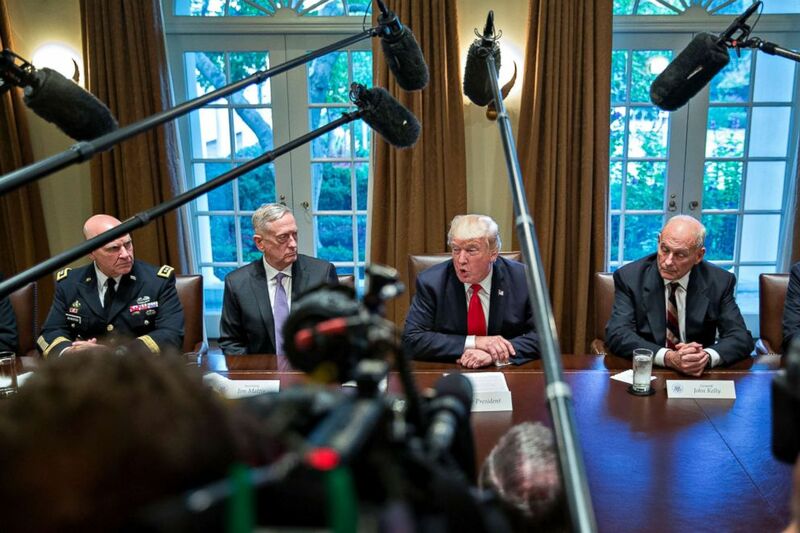 But at Wednesday’s Cabinet meeting, President Trump sought to change that narrative by asserting he “essentially” fired Mattis. “President Obama fired him, and essentially, so did I,” Trump said, criticizing Mattis’ management of the U.S. military presence in Afghanistan, where President Trump is now weighing a troop drawdown. “What’s he done for me? How has he done in Afghanistan? Not too good. Not too good. I’m not happy with what he’s done in Afghanistan. And I shouldn’t be happy,” Trump said. Trump’s attempt to change the story comes after a vast body of reporting that Mattis resigned in protest over his strong disagreements with the president’s announced decision to withdraw troops from Syria within 30 days, a timetable the president has since walked back to allow for a more gradual drawdown. Trump also argued that the U.S. spends more in one month in Afghanistan than the $5.6 billion figure he’s demanding for a southern border wall in the ongoing shutdown fight. “We spend in Afghanistan more in one month than what we’re talking about for the wall,” Trump said, citing the $5.6 billion figure he’s requesting. But his numbers are off. Last February, Pentagon official Randall Schriver testified that the war in Afghanistan cost about $45 billion each year. That would put the monthly cost of the Afghan war at $3.75. So, while the U.S. is still spending a considerable amount in Afghanistan on a monthly basis, it is below the $5.6 billion figure cited by the president.